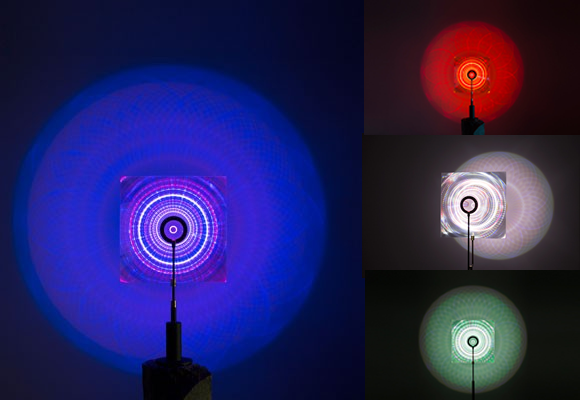 Amsterdam designer Taumas Markinpoika has created this beautiful, enchanting light which projects petal-shaped concentric patterns onto vertical surfaces when illuminated. 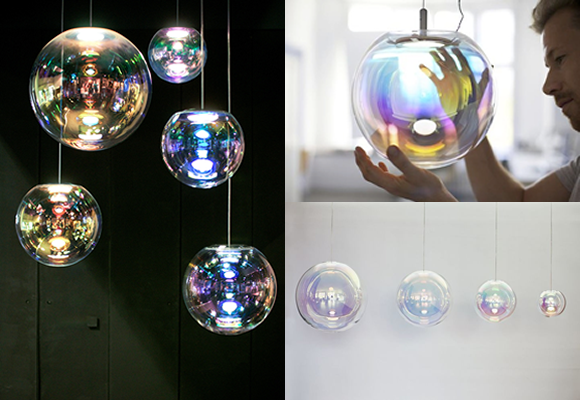 Changing colours, it casts Spirograph-style patterns and creates a calming atmosphere in the room. Truly mesmerising! Being a fan of Spirograph when I was younger (all those many years ago), the “Distant Lights” would bring a wonderful sense of nostalgia, almost like having the drawings in 3D. I am a big fan of this design! The pearl colours that shine through into the room offer an element of natural shine. I might have to put this design forward to the MD for our office. The design might inspire the team to do the dishes every so often! The design is a complete contrast to “colourful, bright and pretty”, yet there is something quite beautiful about this design. What can I say? I guess I am a sucker for shiny things! Must have been a magpie in a previous life. Will definitely think twice about turning the light on though. We have a winner! 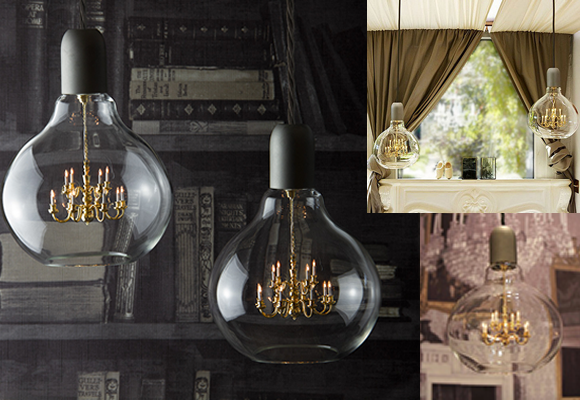 The “King Edison Pendant Lamp “is designed by Young & Battaglia in Cambridgeshire. The lights feature a chandelier in a light bulb structure. A light within a light. It is almost like a Russian Matryoshka doll. Named after the inventor of the light bulb, Thomas Edison, the design is almost like the French Renaissance meets the 19th Century (my passion for History coming out). 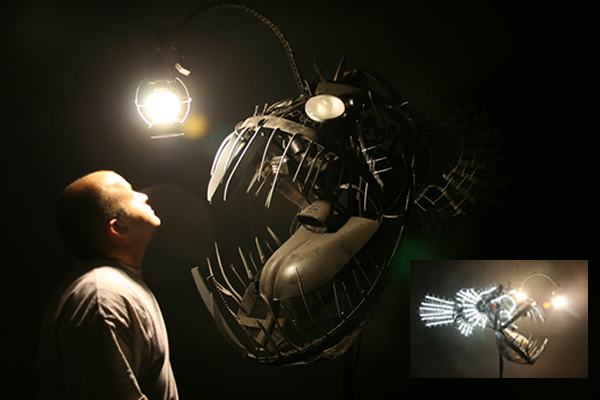 The design shows the evolution of light sources while preserving the heritage of Science and Art. 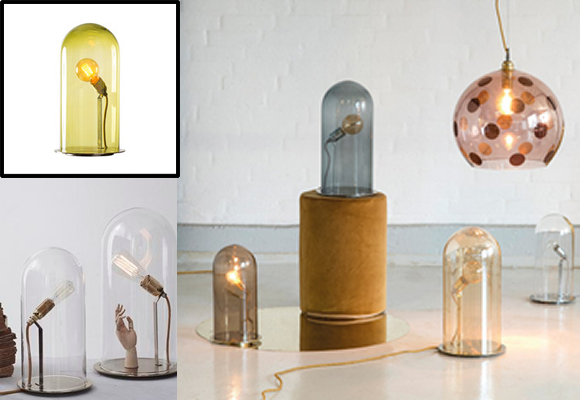 The “King Edison Pendant Lamp” is definitely my favourite so far that I have come across. Definitely a design that reflects treasured moments. Classic, yet contemporary. Love it!